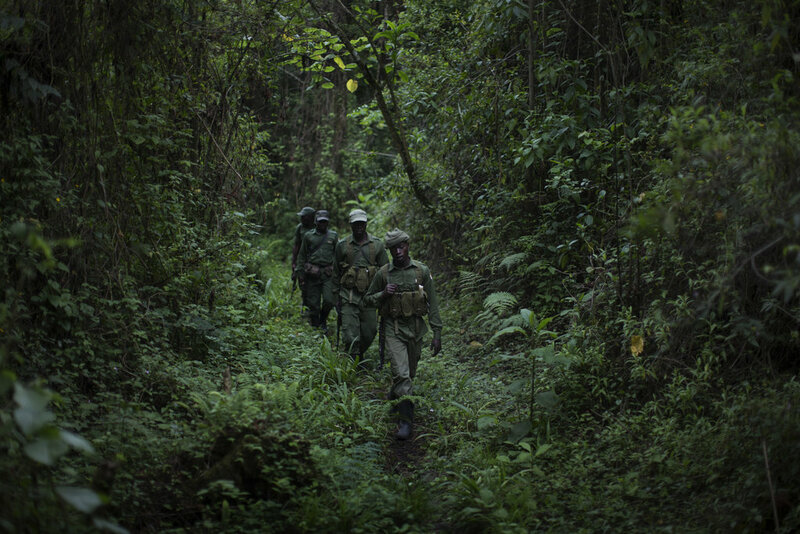 Oil explorations threaten the Virunga National Park, being one of the oldest in the country. Activists face strong repression. In 2017, activist Rodrigue Katembo was awarded the Goldman Environmental Prize for denouncing illicit extractive activities. The Virunga National Park is a 7,800 km2 park situated in the eastern Democratic Republic of Congo, next to the border of Uganda and Rwanda. Established by King Albert I of Belgium in 1925, it is Africa's oldest national park, the continent's most biologically diverse protected area and was designated UNESCO World Heritage Site in 1979. The park is particularly known for being the habitat of the critically endangered mountain gorilla, made famous by the film “Gorillas in the Mist” . The UK-based company SOCO International signed a production-sharing agreement with the DRC government in 2006 to explore for oil within and near Virunga National Park. The company received its permit to explore for oil in Block V in October 2011. More than 50% of the area of Block V lies within the park, next to the endangered mountain gorilla habitat. The documentary “Virunga” was produced by Leonardo DiCaprio and Netflix and released in late 2014 . 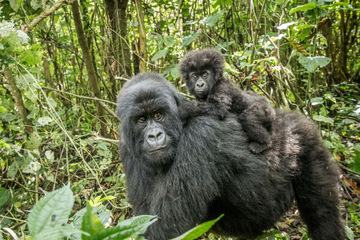 It highlights the activities of SOCO International within Virunga National Park. 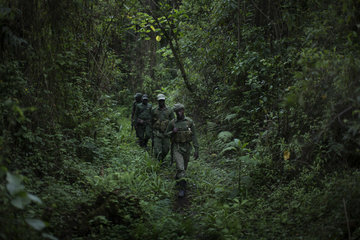 The film revealed hidden camera footage, allegedly showing a Congolese Army officer trying to bribe one of Virunga's wardens. One of the wardens, Rodrigue Mugaruka Katemba, later declared that he had tried to stop workers from setting up an antenna for SOCO in the park which supposedly led to him being kidnapped by Congolese soldiers on 19 September 2013. His allegations were also documented in a Human Rights Watch report. In this report, many other cases of repression related to the oil exploration within the park were documented by the NGO. On 31 January 2014, a local farmers' cooperative in Rutshuru had organized a 300 people march to oppose SOCO's activities. Although local authorities had been informed about the demonstration in advance as required by DRC law, policemen entered the cooperative's office soon after the march began, confiscated computers and materials and tore down a banner. Later, according to local press reports, some of the protesters were also detained and beaten by the police. Another local fisherman and environmental activist was detained on 3 March 2014 in relation to voicing his concern about the exploration. He was later released after supposedly paying one of the officials. Many of those incidents of repression and intimidation were documented by Human Rights Watch. One of the most violent attacks was carried out against park director Emmanuel de Mérode on 15 April 2014. According to HRW, at least three men in military uniform fired at him while he was driving alone in the park within an area that is controlled by the DRC army. He was later found by a civilian on a motorcycle who drove him towards Goma. When he finally reached the hospital, he was treated for bullet wounds to his chest and abdomen and survived the attack. In September 2014, local and international newspapers reported about DRC soldiers guarding the British company's activities that had killed peaceful protesters. Two fishermen were reportedly beaten to death after supposedly criticizing Soco's activities in Virunga National Park. 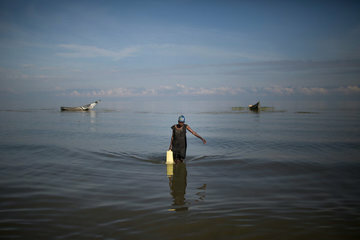 The information came from villagers who talked to a journalist visiting the remote fishing community of Nyakakoma. A formal investigation was launched by park authorities, after claims were later corroborated by a HRW investigator. SOCO International still has its license to operate within the national park but said that it would no longer conduct operations there. On its website the company declared that in accordance with a former public commitment made, all of SOCO's operations in Virunga National Park had ceased on 22 July 2014. Moreover, it declared that no exploration drilling has taken place in Block V, which includes the area of the national park, and that no drilling commitment had ever been made and no oil exploitation plans existed for the Block. Prior to that, SOCO had announced that its specific “area of interest” within the Block V Licence had been limited to Lake Edward and the adjacent lowland savannah located within Virunga National Park. The British company's decision to pull out of the exploration of Virunga National Park followed legal mediation in London in June 2014, together with WWF, although it is believed that SOCO finally gave in to pressure from the British government, UNESCO and high-profile defenders of the park such as Richard Branson and Archbishop Desmond Tutu. Conservation groups had also collected signatures of more than 700,000 people against the exploration. In February 2015, the Church of England shared its “serious concerns” about SOCO International's operations at the park due to the information seen in the Netflix documentary “Virunga” that was aired in November 2014. The Church also announced that it may withdraw its 3 million UK Pound stake from SOCO because of the issue. In 2017, activist Rodrigue Katembo was awarded the Goldman Environmental Prize for denouncing illicit extractive activities in the park .Despite SOCO's declarations, the oil drilling within Virunga National Park may not be over after all. Even though the company states that it has ended the project in the park, the DRC government is now seeking a way to explore for oil in the perimeter of Virunga. In March 2015, Kinshasa shared its intentions not to abandon its plans to exploit potential oil reserves there. Prime Minister Augustin Matata Ponyo said authorities had contacted UNESCO in order to find a way to “explore judiciously” within the park in order to “reap the profit of its resources to benefit the people who live there”. The DRC government are now discussing a “slight” modification to the park's boundaries. UNESCO's DRC representative however stated that there were no formal negotiations going on between the UN agency and Kinshasa. Throughout the year 2018, the national government took important steps towards the declassification of certain areas of Virunga national park (together with Salonga national park) in order to ease oil exploration and exploitation in the near future . By June 2018, the government charged commissions to look into the declassification of these two parks, about one fifth of Virunga would be affected by the reclassification . As a result, even though oil exploration by SOCO came to an end in 2014, the future of oil activities within Virunga National Park seems still unclear. Project Details SOCO had completed its seismic survey on Lake Edward on 13 June 2014 to gather data about subsurface rock formations under the lake on the DRC side. Seismic studies as part of an evaluation that the government had requested to estimate the effects that oil exploration would have on the environment are “currently underway in the UK and should be completed by mid-2015”, SOCO stated. 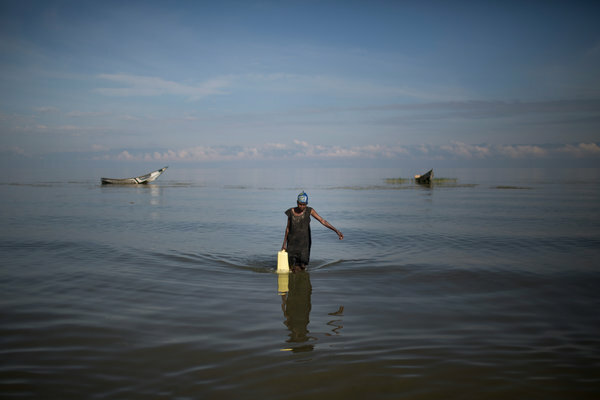 Development of Alternatives The Virunga Alliance reported in its “Vision for Virunga” that investments in a green economy are projected to create up to 60,000 new and sustainable jobs by 2025 in 4 key sectors: renewable energy, agro-industry, sustainable fisheries and tourism. Why? Explain briefly. It seems that for now, as SOCO has stopped explorations within Virunga National Park in 2014, this case can be considered an environmental justice success. Hence, the future of oil explorations within the park remains unclear, as the government of DRC seems to pursue its intentions to drill within the park in the future.